Do you want to visit Gymea Village to do your Christmas shopping without the hassle of parking ??? Here is your answer. Transport on demand. Ready when you are. 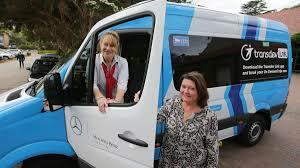 Transdev Link, your new On Demand service in the Sutherland Shire, allows you to book a shuttle to pick you up from home or a convenient nearby location, to take you to a local transport hub or landmark. It’s easy to book using the Transdev Link app, the booking portal on their website www.transdevlink.com.au or by calling Monday to Friday 9am to 5pm on 1800 835 465. ​Trips can only be booked within one single zone. Take a look at our Frequently Asked Questions to find all the information you need to start travelling with Transdev Link today! 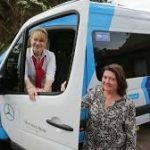 ​Transdev Link will be piloted for 6 months in the Sutherland Shire from late November 2017 as part of the NSW Government’s Future Transport program, with a possible extension up to 2 years.